Cheryle is co-founder of Cultural Connexions. She has a BA in Visual Arts from Sydney College of the Arts and Graduate Diplomas in Arts Education, Asian Arts, Arts Management and Teaching English as a Second Language (ESL). She has experience in working at various capacities in cultural research, arts policy, arts marketing and audience development and arts management working with state and federal arts bodies and major cultural institutions. She is a dynamic facilitator and project manager, artistic director and freelance exhibition curator who has worked in cultural development projects overseas and organisations in Australia in the visual and performing arts. Cheryle was the Co-founder of Drik Picture Library with internationally known photographer, Dr. Shahidul Alam in Dhaka, Bangladesh and also worked as cultural consultant to Bangladeshi arts & craft producers in rural areas. Cheryle has extensive experience working in artistic, cultural, educational, health and environmental contexts and ‘brokering’ partnerships with local government, NGO’s, government and the community sector in Australia and overseas. 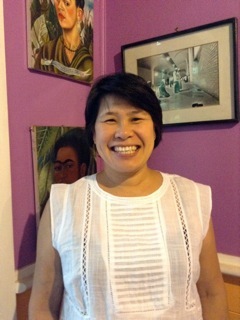 She has been the recipient of an Asialink Arts Management Residency to TheatreWorks, Singapore and was an exchange English Language teacher in China with AFS Australia. Community projects have involved working with a range of diverse groups and communities with a cross-cultural, intergenerational and interdisciplinary approach using arts and cultural expression to explore social and environmental issues. She worked for six years with the Blue Mountains World Heritage Institute and, in conjunction with this position, received a scholarship to undertake a work place based Doctorate in Cultural Research from University of Western Sydney’s –Institute of Culture and Society. Cheryle specialises in community cultural development and community engagement and has undertaken qualifications in IAP2 courses (International Association for Public Participation), Photovoice facilitator, Certificate IV in Training and Assessment and participated in the WSROC Mentoring for Young Women’s Leadership Program. She is a member of the Australian Business Women’s Network, Biznet-Chamber of Commerce for Lithgow, Oberon and the Blue Mountains and the Sydney Printmakers. Cheryle currently works for local government in cultural development and is volunteer cultural consultant to Cultural Connexions. Sign up below to receive an email when there's a new blog post to read. Copyright © 2019 Cultural Connexions. All Rights Reserved.